The application process of the LAPD is different than other California police departments it is comprised of a complex system of tests and interviews. Candidates who score in the highest tier on the Personal Qualifications Essay (PQE) will be selected to join the LA Police Academy. JobTestPrep offers you a variety of preparation packs that will help you properly prepare for the tests and increase your chances of success. The beginning salary for a Los Angeles Police Officer is $57,420. Are you interested in the field of law enforcement? If so, then preparing fully for the PQE will contribute to the achievement of your LAPD employment goal. JobTestPrep offers practice packs that will familiarize you with the exam format and quicken your pace in this timed test. You will have the affordable opportunity to enhance your test result. Increasing your potential to rank at the top of the eligible list is worth every effort that you put into your LAPD test preparation. When applying for employment as a Los Angeles police officer, you will encounter a seven-step hiring procedure. While the LAPD Personal Qualifications Essay written test appears to be a mountain, with a thorough preparation program behind you the actual exam may turn into a comfortable and successful testing experience. There are many applicants and not so many openings at the LA Police Academy. The LAPD has developed job entrance hurdles specifically designed to highlight the very best candidates for law enforcement positions. Through work on LAPD practice tests, analysis of sample questions and review of a comprehensive study guide, you have the opportunity to optimize your written test result. It is specifically your score on the PQE that determines: 1) Whether or not you continue along the application process; 2) Your rank on the eligible list; and 3) Whether there is a seat for you in the LA Police Academy. Background Investigation and Polygraph Exam – Personal history form, focuses on: respect for others, interpersonal skills, sensitivity, decision-making, judgement, maturity, discipline, personal ethics, honesty, integrity, setting and reaching goals. Physical Abilities Test – strength, endurance, agility; and aerobic capacity. Department Interview – job motivation, personal accomplishments, attitude toward continuous learning, interpersonal skills, instrumentality, and oral communication skills. Medical Evaluation and Psychological Evaluation – vision, body fat, hearing; evaluation by city psychologist. The passing threshold for the PQE is 75%. For those who do not pass this written exam, the application process ends. In fact, candidates who score in the low range of a pass are also not scheduled for any further tests, though their names remain on the eligible list for 18 months. 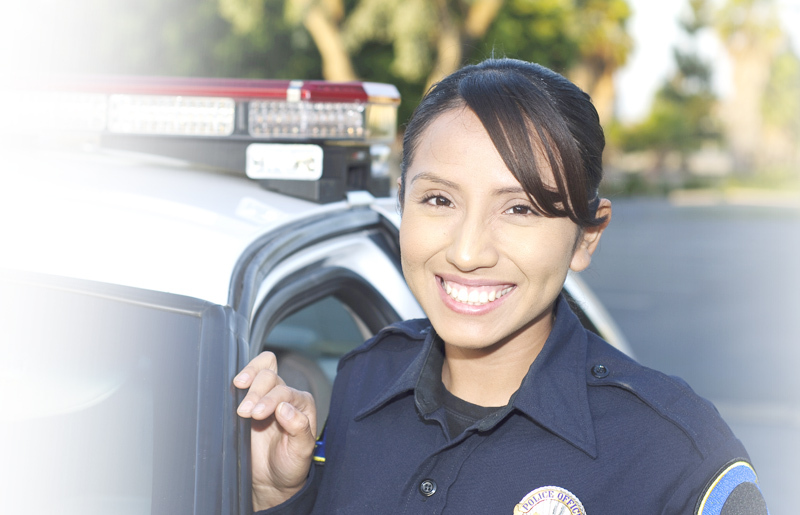 Find out more about police exam preparation. Applicants who pass with a mid-range score, may be scheduled for further tests at the discretion of the LAPD. However, it is only the candidates whose PQE result falls within the highest scores, who are definitely scheduled for the physical abilities test and Preliminary Investigative Questionnaire (PIQ) of the Background Investigation. Format – The PQE is a paper & pencil test containing three questions. For each question, the task involves a written essay. Scoring - The scoring of each essay is focused on grammar, punctuation, spelling, sentence structure and content. As to content, you will be rated on decision-making and judgement, written communication ability, logical expression and behavioral flexibility. Tips – Within your essays, use good examples. Stay directly on the topic of the question and avoid rambling. Be sure to provide sufficient details. The LAPD and other trademarks are the property of their respective trademark holders. None of the trademark holders are affiliated with JobTestPrep or this website.